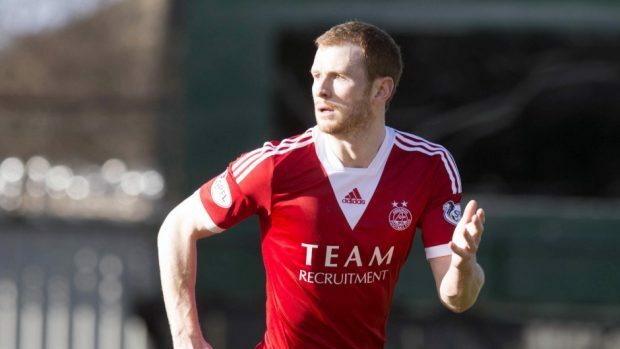 Aberdeen defender Mark Reynolds is facing at least a month on the sidelines. Aberdeen defender Mark Reynolds admits he has been frustrated by his lack of game time at Pittodrie this season. The 30-year-old made only his fourth Premiership start of the season in Saturday’s 2-0 victory against Kilmarnock. Scott McKenna’s remarkable breakthrough season with the Reds has been the primary reason why Reynolds has been restricted to a bit-part role, having been an ever-present for the majority of his time at the Dons since joining the club five years ago. After returning to the line-up last weekend, the former Motherwell and Sheffield Wednesday defender is determined to keep his place, starting with tonight’s meeting against Hearts at Pittodrie. He said: “It’s frustrating when you’re not playing and just watching from the sidelines when you want to get on and make an impact. “That’s why it was good to get back in from the start, play 90 minutes and help the team get a clean sheet. “I’m just not used to the situation as the only time I’ve missed out in the past is when I’ve been injured. “I’m training well, feeling strong and fit. Not playing is hard but it is just one of the joys of football. “The manager’s door is always open and I have spoken to him but, ultimately, he’s in charge and it’s hard to argue with that when the boys are doing well. “You just need to sit and bide your time – as I’ve always said to the manager I won’t start shouting the odds. I’ll just get my head down and work hard in training. Reynolds, however, accepts the form shown by McKenna has rightly made him a mainstay in the Aberdeen team. The 21-year-old’s impressive campaign was rewarded with a place on the four-man shortlist for the PFA Scotland young player-of-the-year award. Reynolds added: “I can have no arguments as Scott came in after we didn’t perform well in a defeat at Motherwell and he has taken his chance. “He’s gone from strength to strength since, although there are games I feel I could have come in and done well. “You can stamp your feet all you want and throw your toys out the pram but you just have to get on with it. “We have really strong competition for nearly every position at Aberdeen.